It is possible to import well files that have been created prior to Insight 3 into a session. 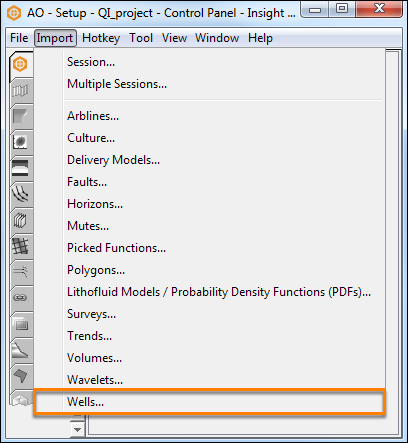 Select the well file (.duwell) and click Open. Convert the Coordinate Reference System (CRS) of the well to the project CRS if the well has a different CRS (see Converting CRS when Importing a Well). Note: Once you have imported a well and saved the session, the well will be added to the project database. The next time you want to load the same well into another session, you can load it from the project database (see Loading Wells).